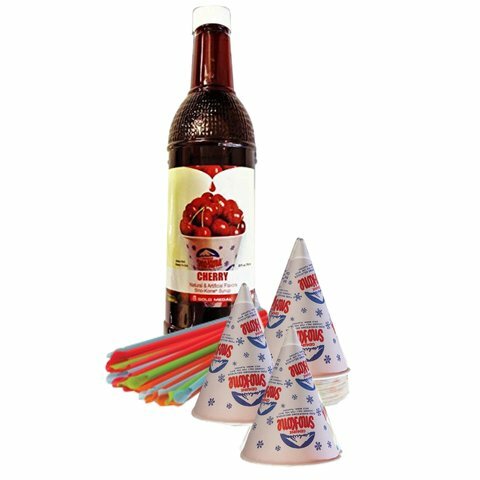 In this supplies we included a 32 onz bottle of cherry flavored syrup, 32 sno kone cups and 32 straws. Each bottle of 32 onz syrup will make about 32 sno kones. We DO NOT provide the ice.